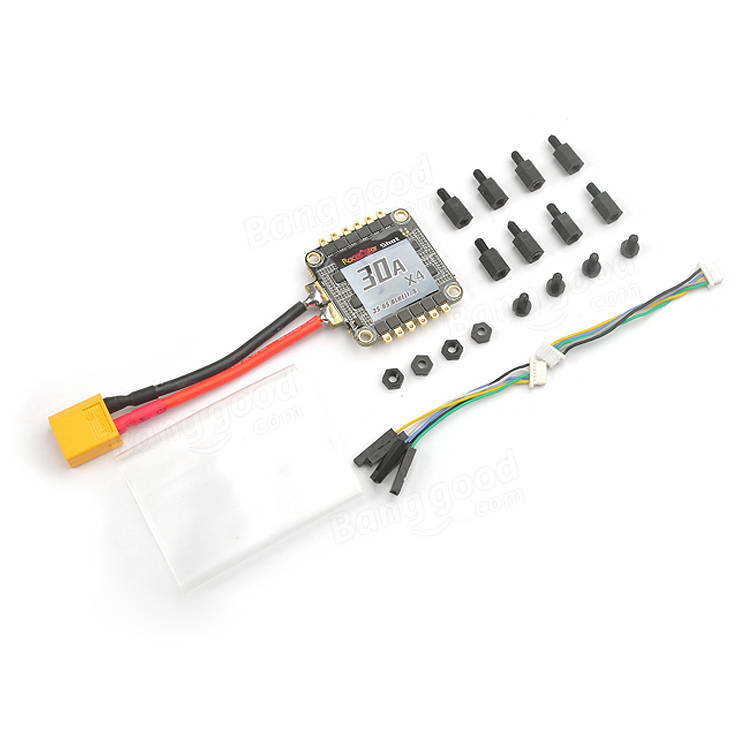 The Racerstar Shot30A 4in1 ESC 4x30A runs the newest BLHELI_S firmware, supports Dshot/ Multishot/ Oneshot42/ Oneshot125, it offer the best performance in 35x35mm size, integrated current and voltage sensor. Compatible for Omnibus F3 F4, easy to assembly a Fly-tower with it. BLHeli_S is designed for superior performance in FPV Racing, and uses hardware generated motor pwm for smooth throttle response and silent operation. The code supports regular 1-2ms pulse width input, as well as Oneshot125 (125-250us), Oneshot42 (41.7-83.3us) and Multishot (5-25us) and D-shot. The input signal is automatically detected by the ESC upon power up. The code supports features to prevent sync loss. There are tune-able parameters that can make the code run well even in the most demanding situations, although default settings will work. Excellently in normal operating environments.